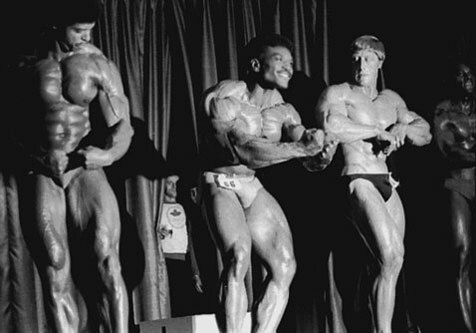 This prestigious men's event was staged by Serge Nubret in Paris in November 1977. 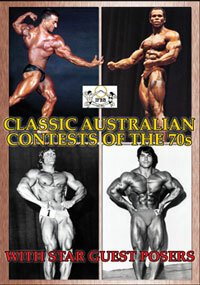 One of the show highlights was the Lifetime Achievement Award presented to special guest STEVE REEVES by Serge Nubret. The show was a sell-out with a fantastic, screaming audience of 3000 crazy fans, typical of events held in Paris. 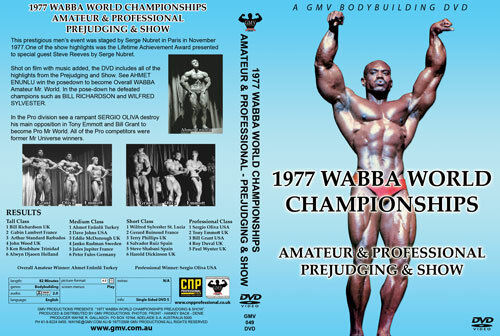 Shot on film with music added, the DVD includes all of the highlights from the Prejudging and Show. 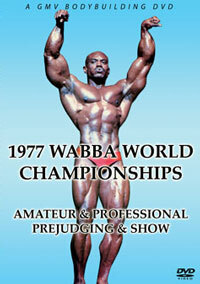 See AHMET ENUNLU win the posedown to become Overall WABBA Amateur Mr. World. 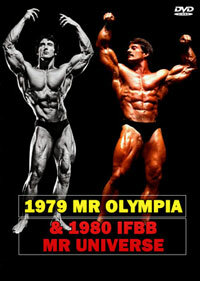 In the pose-down he defeated Mr. Universe champions such as BILL RICHARDSON and WILFRED SYLVESTER. 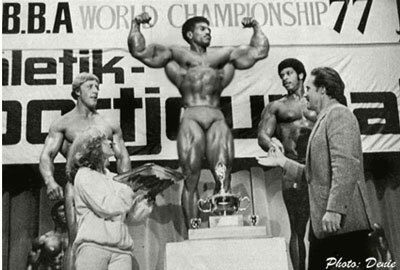 In the Pro division see a rampant SERGIO OLIVA destroy his main opposition in Tony Emmott and Bill Grant to become Pro Mr World. 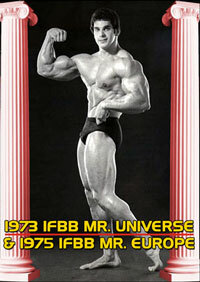 All of the Pro competitors were former Mr Universe winners. 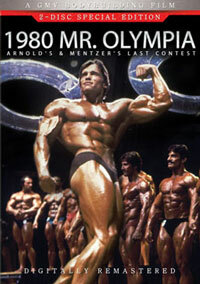 Sergio was Mr Olympia from 1967 to 1969. 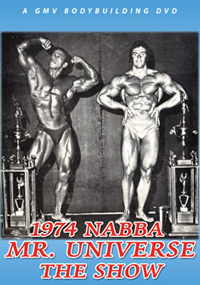 Next day we taped a pumping and posing film with Sergio at poolside which will be edited and released as part of the Sergio Oliva Super DVD, some time in 2008. 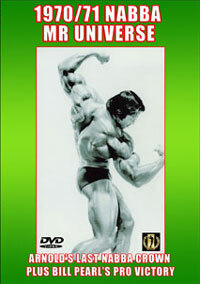 3rd placed Pro competitor BILL GRANT has his own training DVD which is available from us. 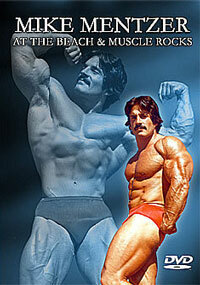 Bill is also in our pumping and posing DVD with Harold Dickinson and Serge Jacobs. Harold was 6th in the Short Class. *This is a direct transfer to DVD with no special features.